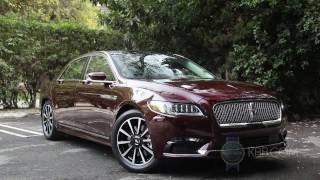 Lincoln is all prepared to set the comeback of its Continental sedan with the Lincoln Continental 2017. At the 2015 New York Auto Show we came across the Continental Concept and now at the 2016 Detroit Auto Show they shared the production version. The model is housed with amenities and looks that bring it into the category of luxury limousines. 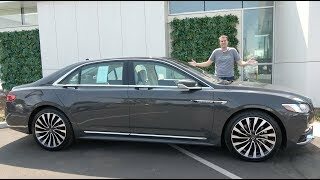 Let us have a look at the review of Lincoln Continental 2017 to know in detail about it. 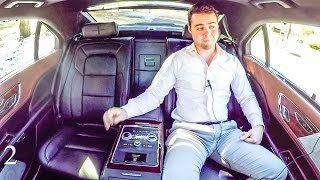 The interior of Lincoln Continental 2017 will outburst the dedication engineers and designers showed while creating this remarkable work of luxury. The dashboard looks elegant and features genuine wood work while the AC vents and the steering wheel are identical to that shown in concept. Seat are perfectly placed giving sufficient leg room to both the front and rear passengers and come with 30 ways adjustment and optional massage, heat and cooling features. Not only this the leather wrapped seats look extremely gorgeous while the six to seven inches per inch calculation give them a couture like appearance. In all the entire interior of Lincoln Continental 2017 look extremely remarkable and luxurious. 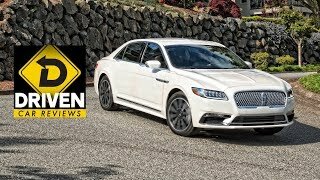 As expected the exterior of Lincoln Continental 2017 is based on the concept version. Starting with the front fascia, the model has a grille with mild revisions and sits amidst the production friendly headlamps. The lower section has a newly designed bumper with larger vents delivering fresh air to the engine. Moving towards the rear end changes get more noticeable. The first thing that you might notice is the new conventional trunk lid. Newly designed tail lights are molded bit larger and feature new cluster layout and get connected by a thin LED strip. Beneath this set up is the set of dual exhaust outlets. Along the sides you’ll notice ‘Continental’ lettering making the model mark a different entity while the doors carry a new pop-open option upon pressing a button and close securely with the specially designed power-clinching technology. 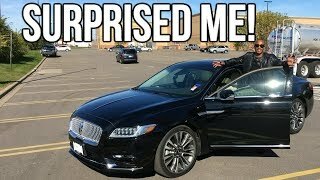 Thus rounding up the entire exterior details of Lincoln Continental 2017 I would say the aggressive front gets complimented well by the elegant rear. Beneath the hood of Lincoln Continental 2017 is the new 3.0 liter V6 twin-turbocharged engine generating total output of 400 hp and peak torque of 542 nm paired to an all-wheel-drive system. The performance figures of Lincoln Continental 2017 are not still unveiled but we expect them to be out in near future.